A Welsh Born Icon: At Risk? I am going back to Wales for the holiday weekend. Tumbleweed may drift through these abandoned pages if I can't get to a wi-fi connection. We'll be back in Cardiff again in three weeks for the Old Ruts end of season rugby tour. While I am there this time I am going to visit some of the venues as part of the trip's risk assessment. I had never heard of such an exercise before, but apparently it has been a thing since 1999. Personally I consider the population and environs of Cardiff to be more at risk from the Old Rutlishians U14 rugby squad than vice versa. 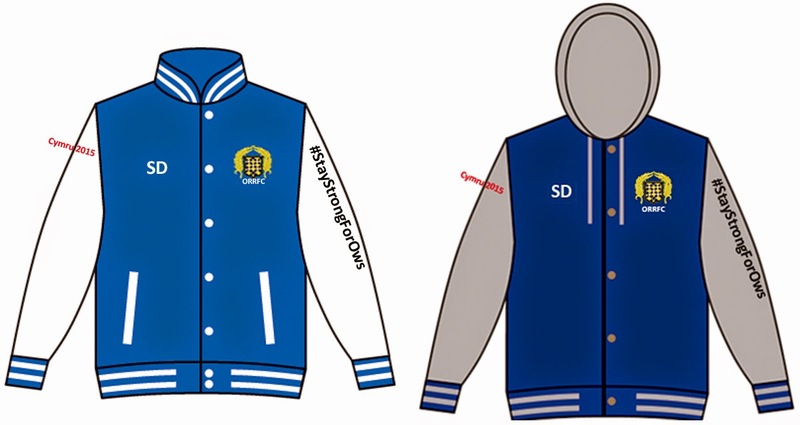 Here is the current thinking on tour jacket options and designs so you can identify them and get out of the way.